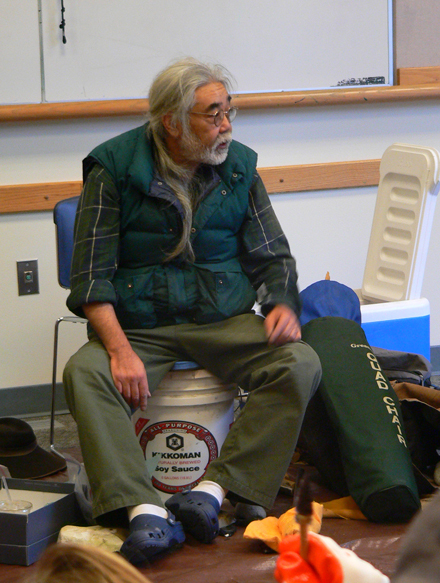 For years Harry Oda taught anthropology and archeology, both at Bellevue College and Ft. Steilicoom Community College. 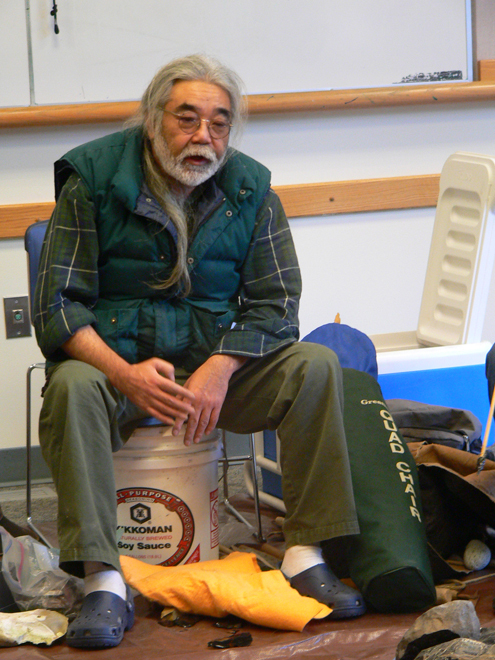 Health problems led to his retirement but he' recently gotten back in the game. 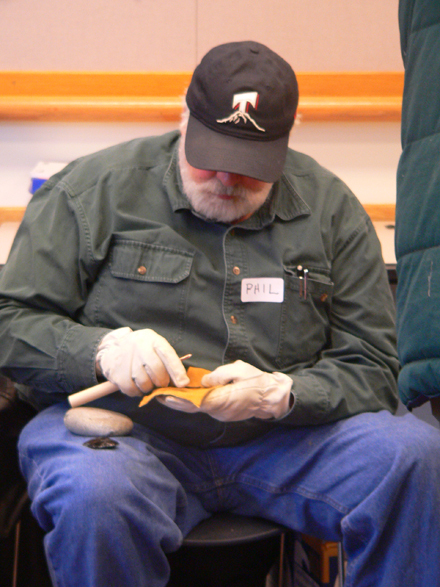 Flintknapping has always been at passion of Harry's and his recent joining of the Puget Sound Knappers Association has given him a new opportunity to fulfill his dream - to teach flintknapping to as many people as possible! 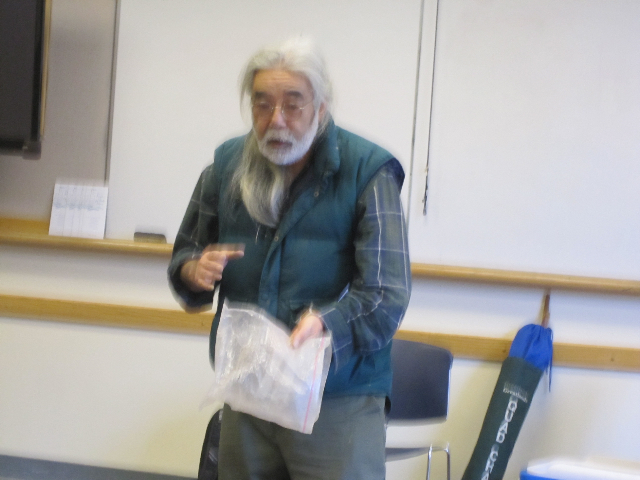 Harry has recently attended the Ft. Knapadonia knap-in, Port Angeles Rock show and the Millersylvania Turkeyfest Knap-in were he was able to demonstrate his knowledge to both PSK member and the public. 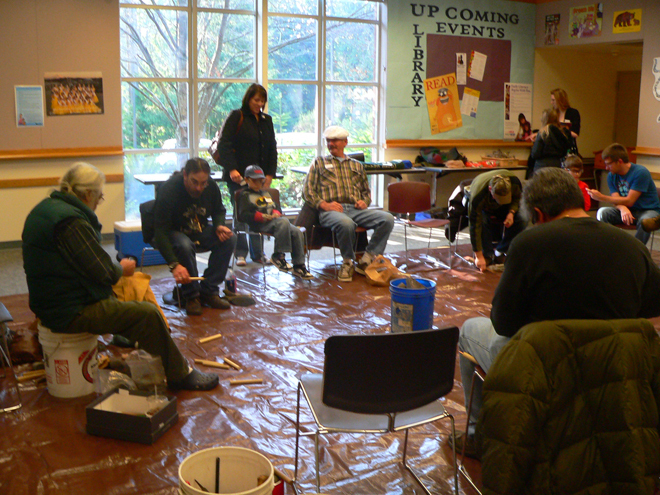 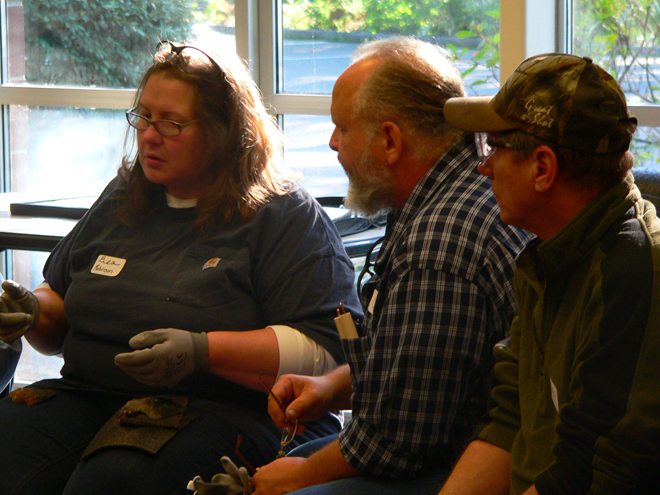 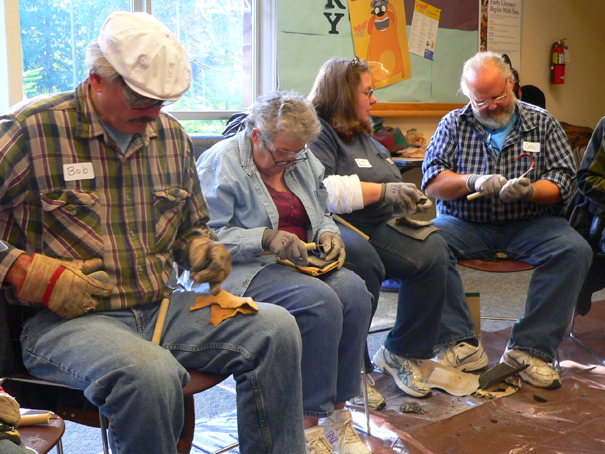 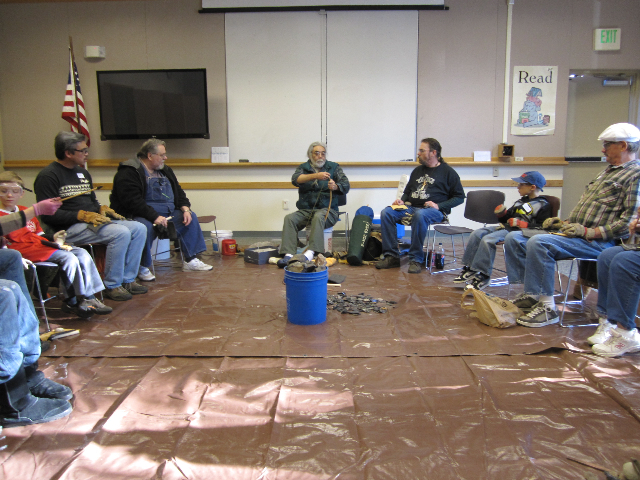 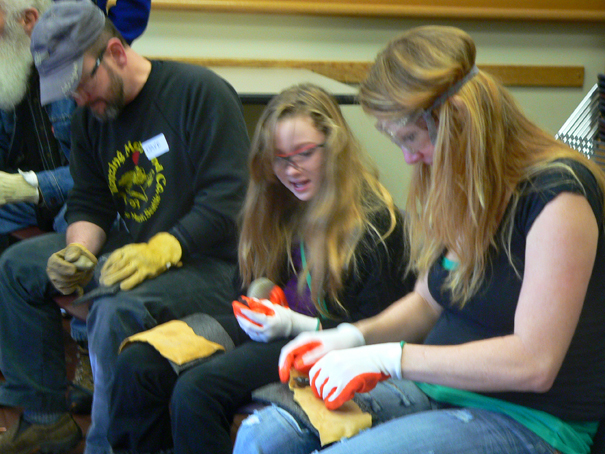 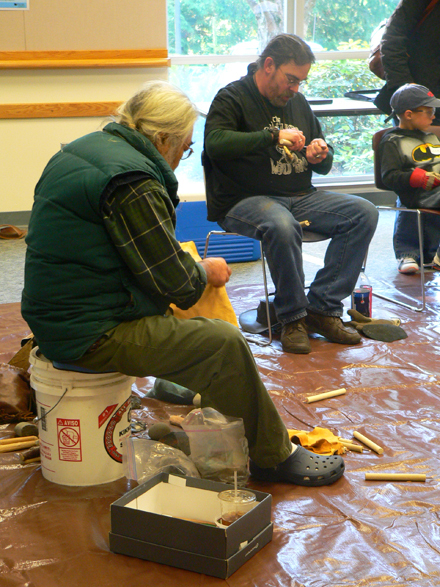 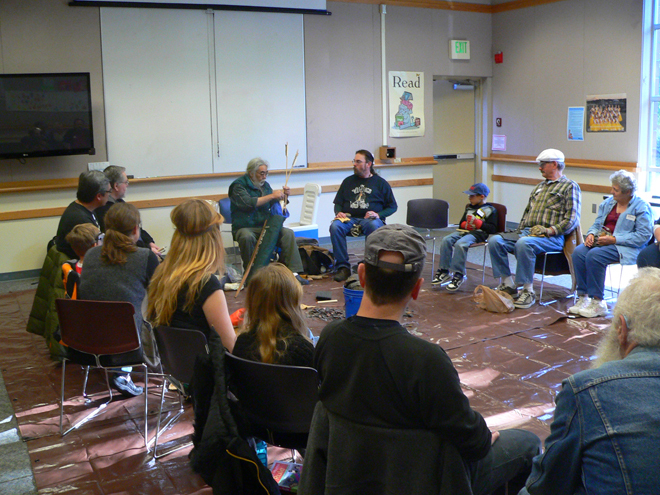 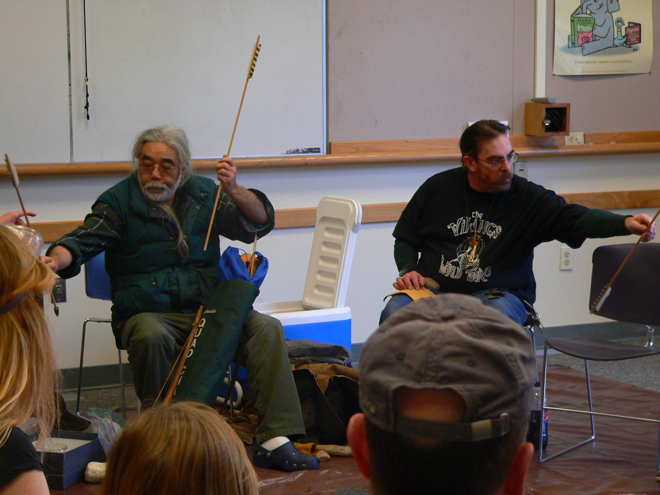 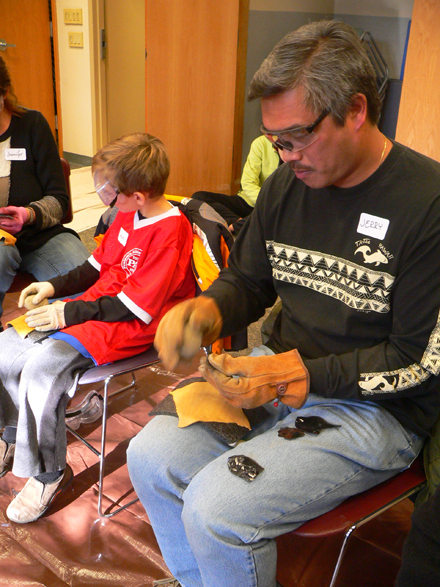 Not one to sit idly by waiting for the next PSK event, Harry got himself invited to demonstrate flintknapping at a great workshop at the Gig Harbor Pierce County Library on Sat. 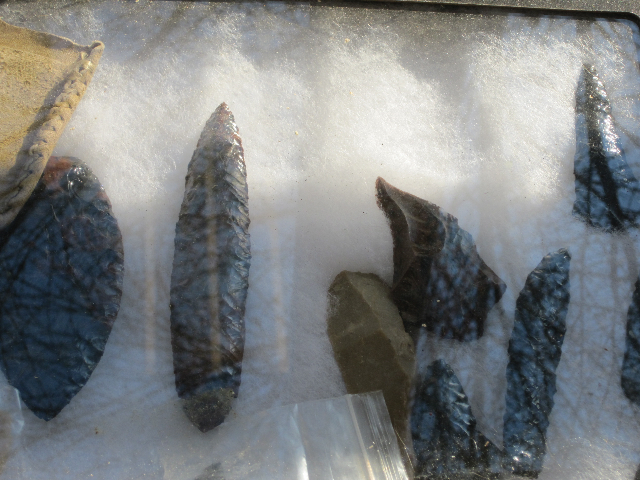 11-10-12.